Hide from the animals or hide from your wife…here is a great way to do it. 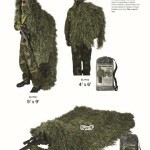 We have been offered 500 of each size of woodland camo blanket wraps. These are new first quality in retail packages. See the attached pictures and product information. The price is a real winner for you. The smaller 4′ x 6′ wrap is $23. Original wholesale was $29 retailing about $47. Interested? Call soon as these will not last long. As always we will listen to all reasonable offers on take all orders.